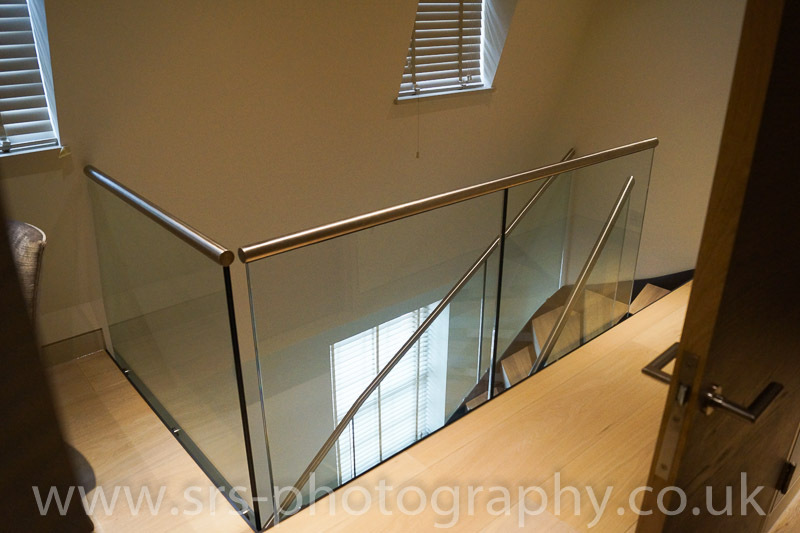 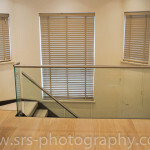 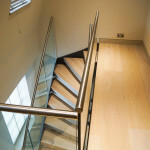 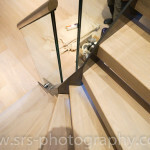 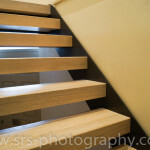 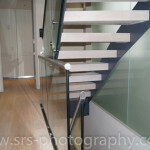 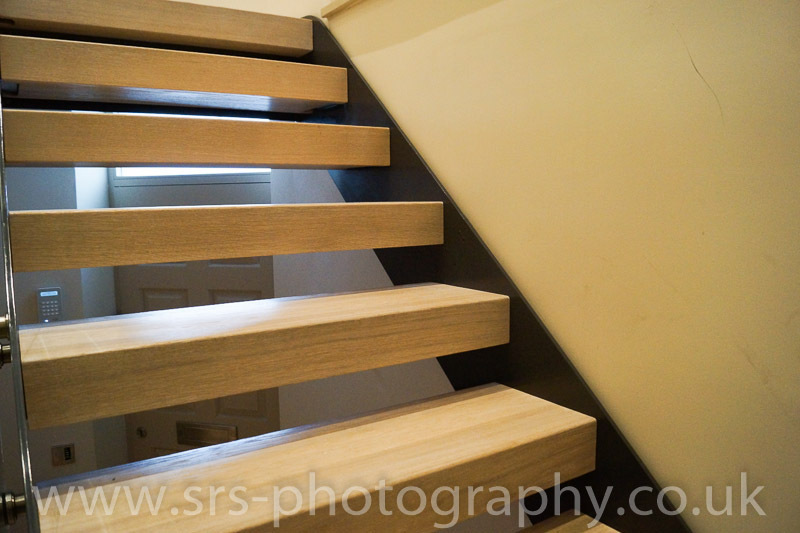 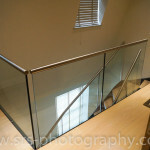 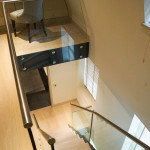 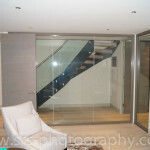 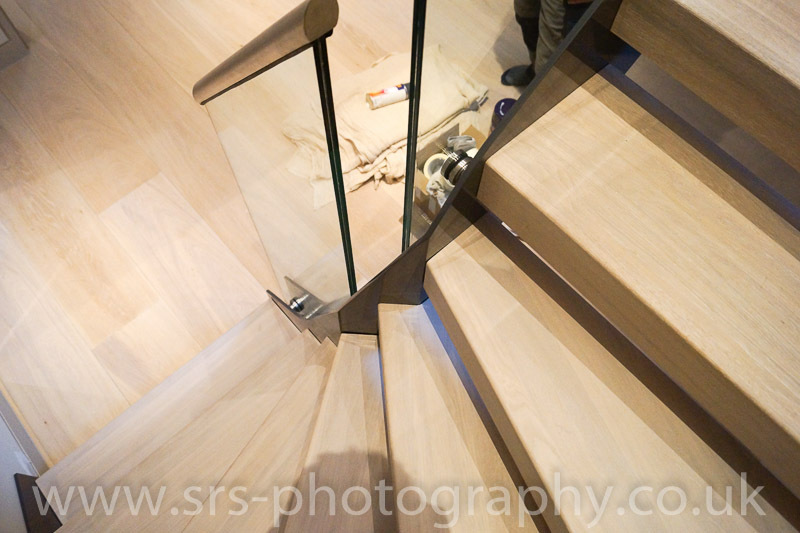 A follow up to an earlier post of our ‘Bespoke Staircase London’ project. 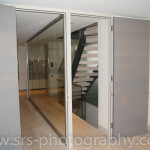 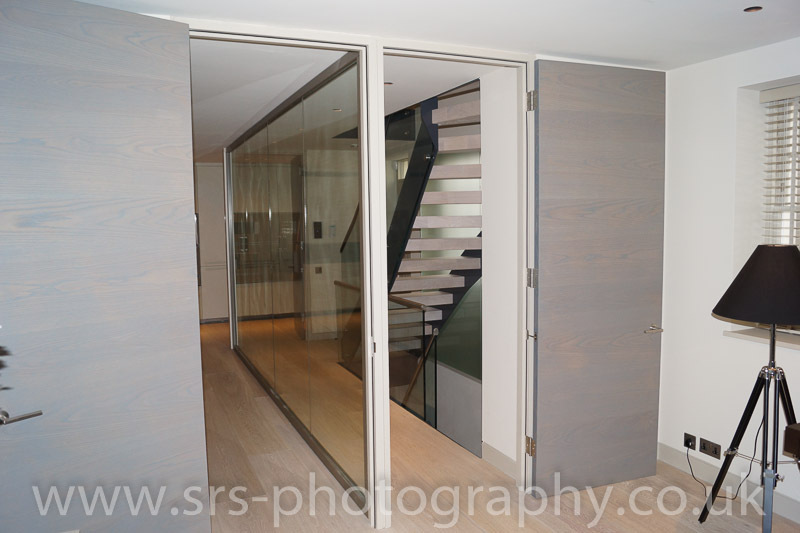 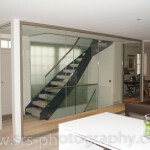 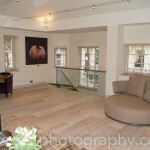 The project finished in February and we now have some pictures of the final result – and they look truly stunning!! 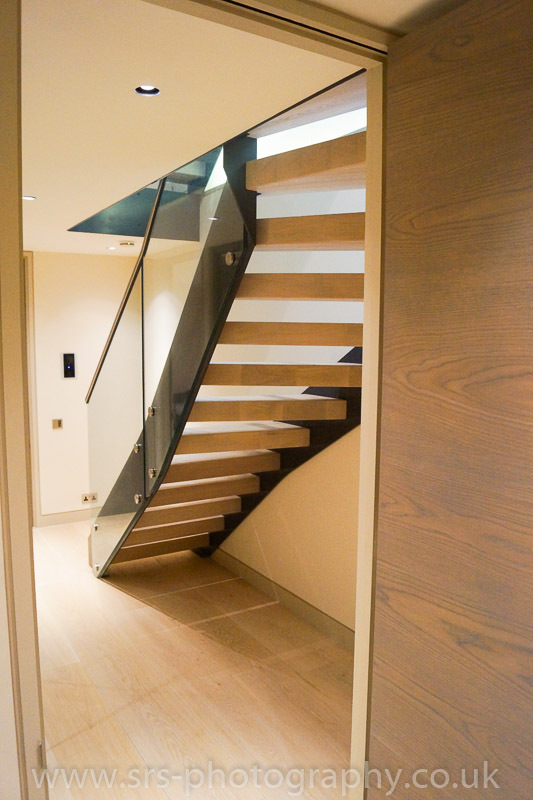 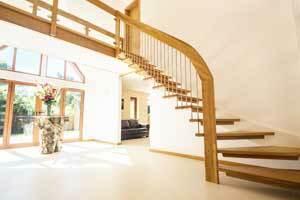 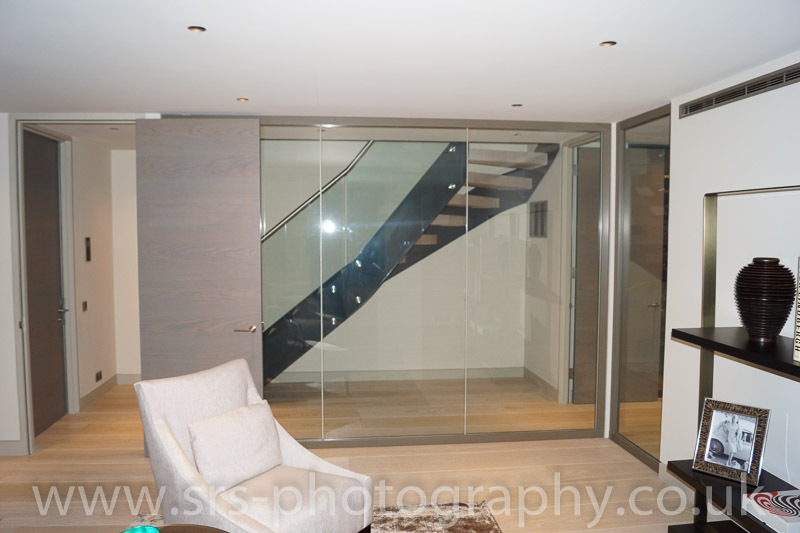 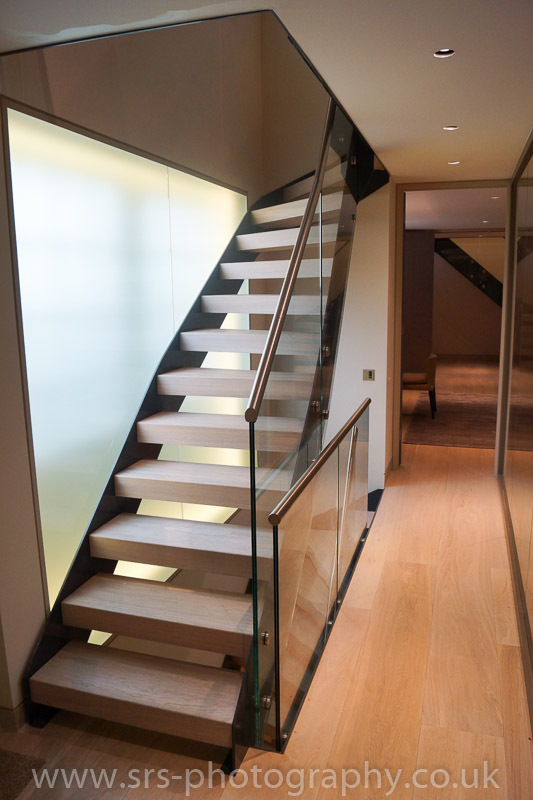 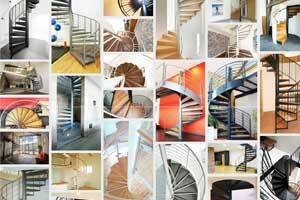 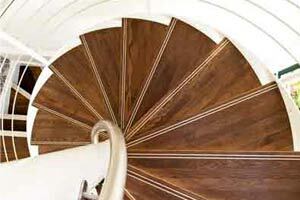 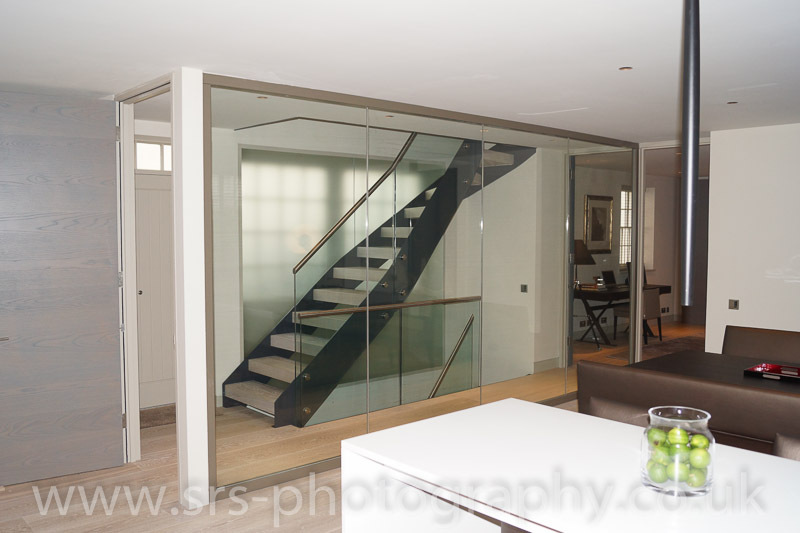 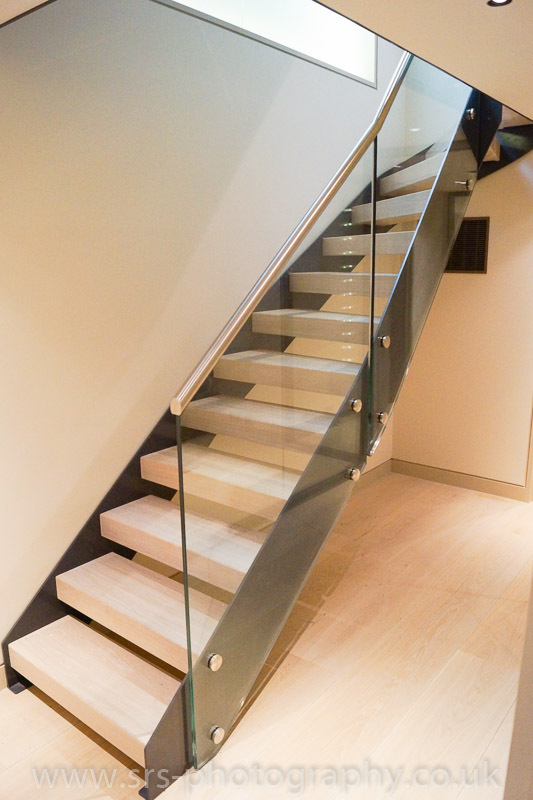 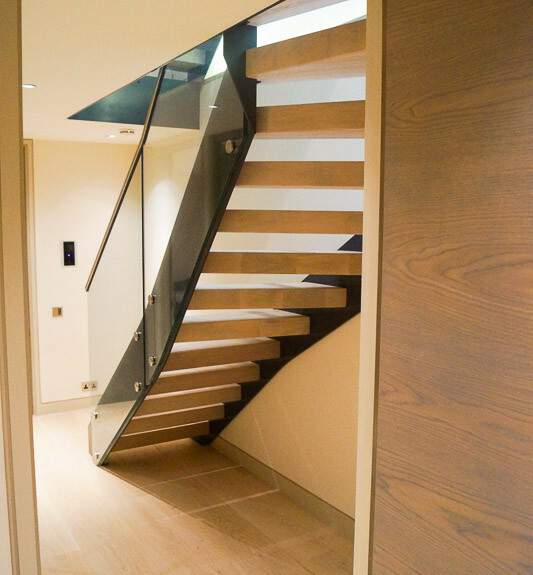 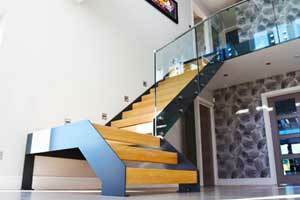 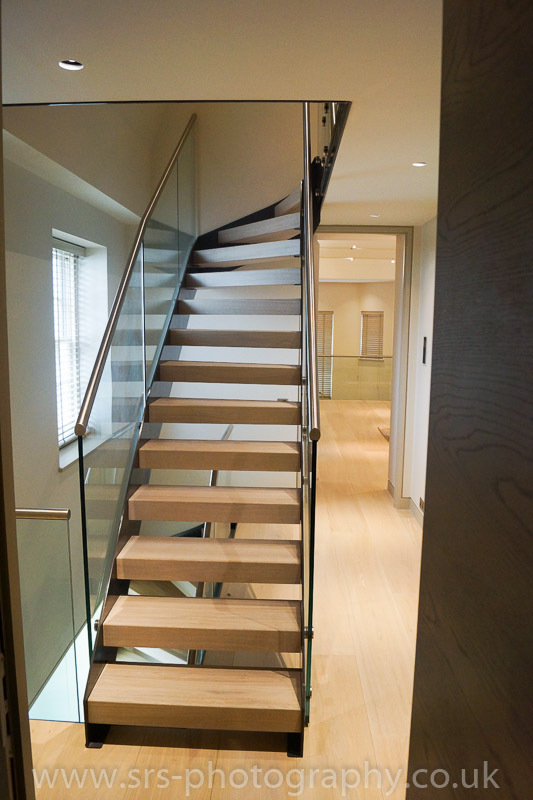 The project consisted of 4 separate flights of bespoke staircases from our Model 500 range. 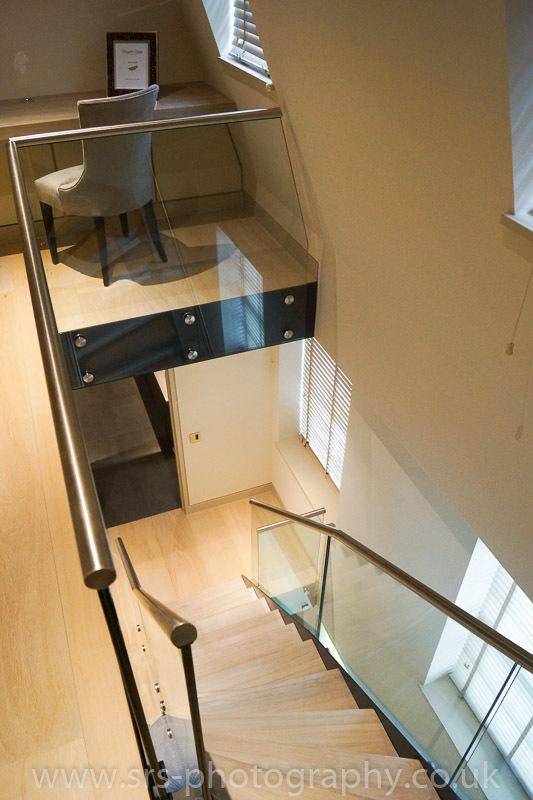 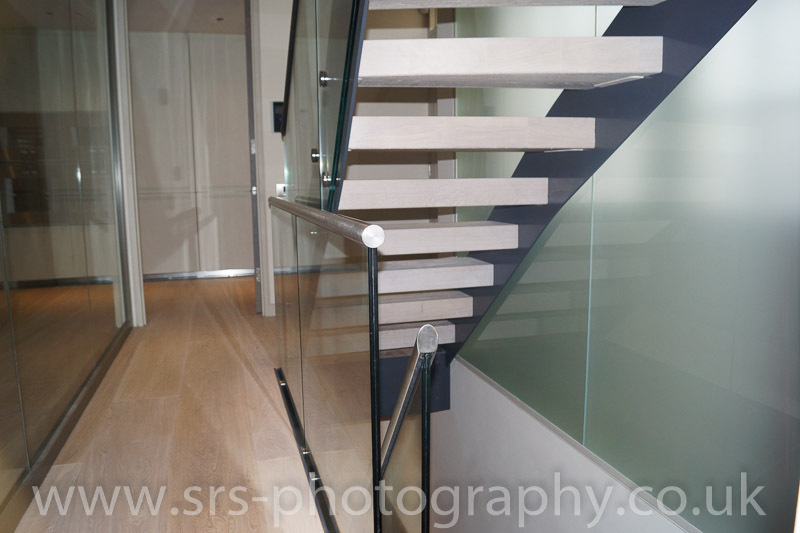 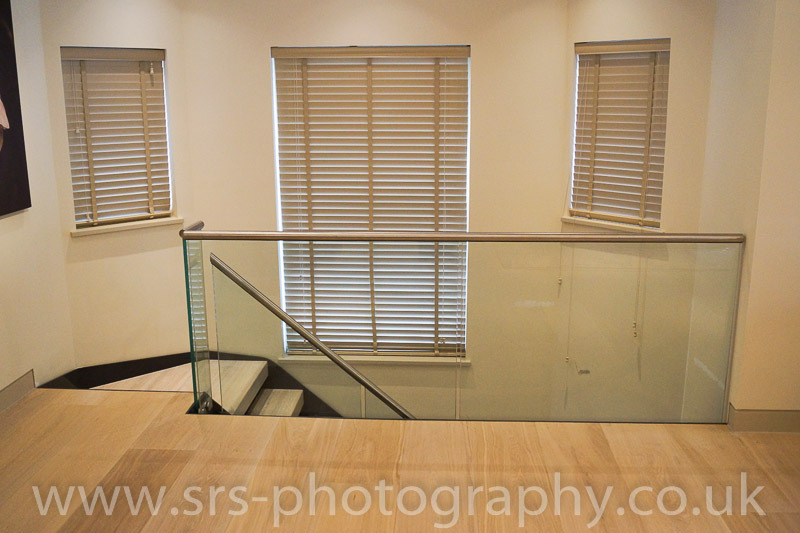 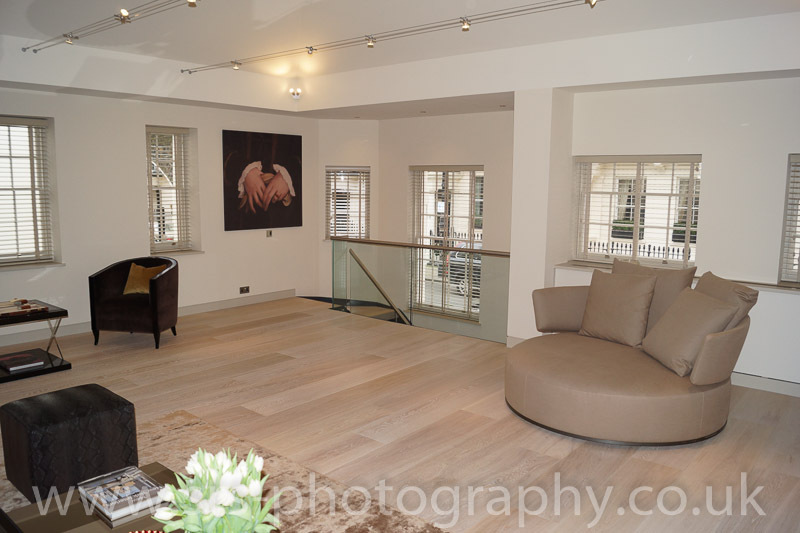 Each model had 100mm thick chunky oak treads which were treated to match the colour of the flooring used throughout and frameless glass balustrade. 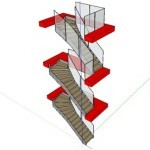 Please click here for a google sketch up 3-D view of the three quarter turn flights on this project with which you can pivot, zoom and fly around the staircases. 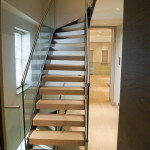 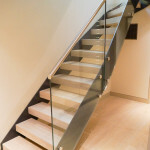 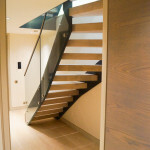 These staircases were supplied to a construction firm but we also supply direct to the end user. 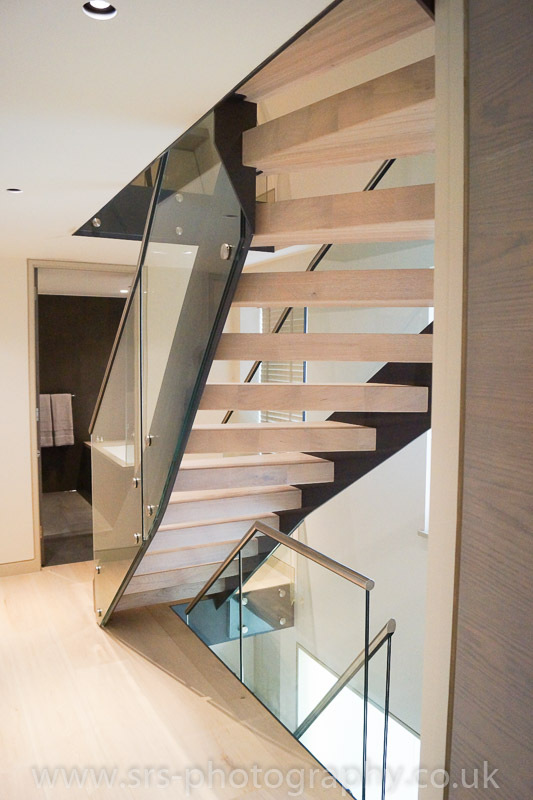 If you are looking for something similar, a wow factor modern staircase for your new build or refurbishment – please get in touch for a quotation. 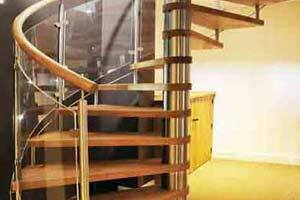 You can email us plans at info@completestairsystems.co.uk or call the office directly on 01794 522444. 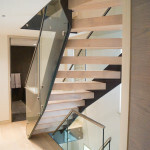 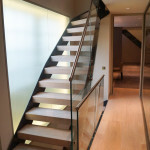 The Model 500 staircase is a bespoke model and is made to suit the opening and the individuals specification. 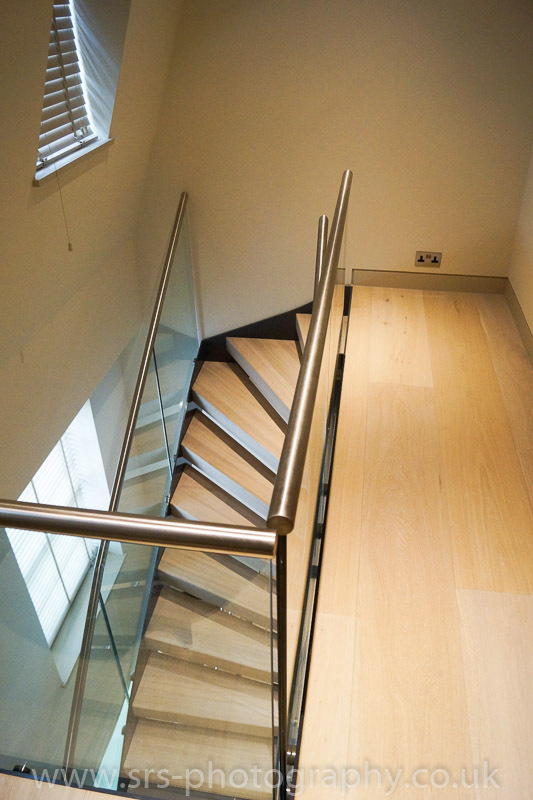 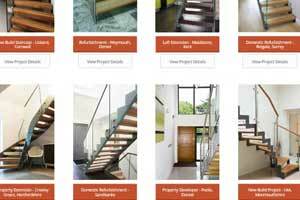 Whilst the structure is the same for each model, each staircase supplied is unique with the type of balustrade, tread type, colour and configuration all chosen by the client. 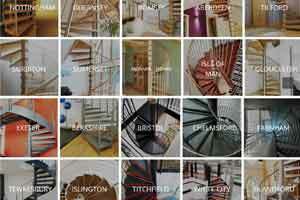 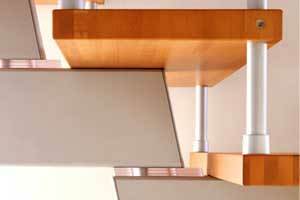 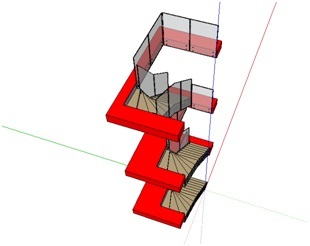 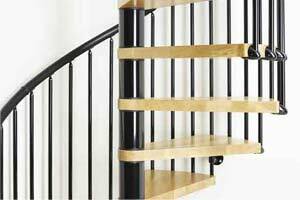 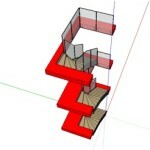 Use the links below to see some other variations of the model 500 staircase. 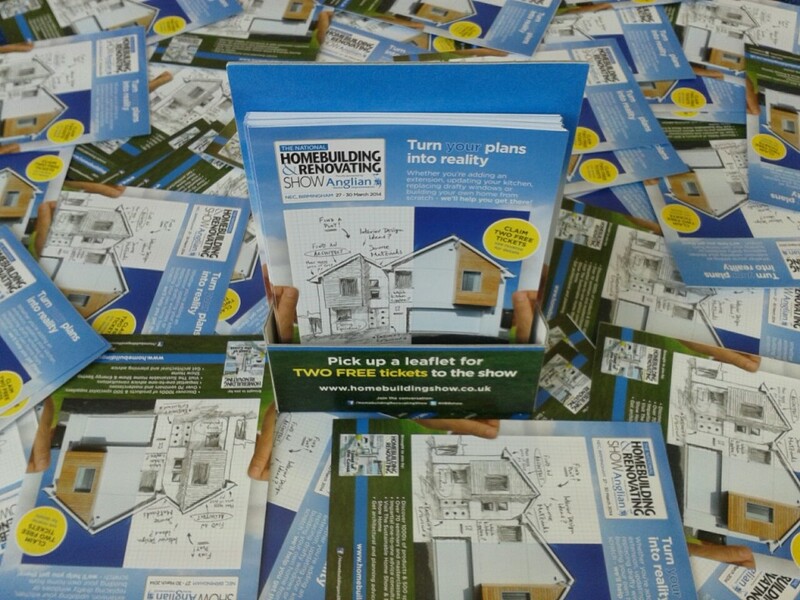 We have 200 free entry tickets to this month’s Home Building & Renovating show and we need to shift them. 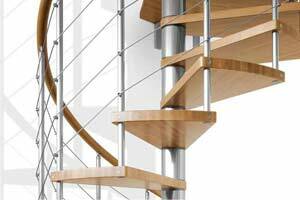 Click on the picture below above or email info@completestairsystems.co.uk or indeed call us on 01794 522444. 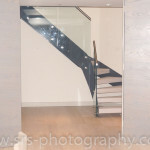 I think entry is around £12 per person otherwise. 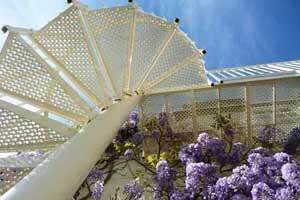 The show starts 27th March and runs for four days. 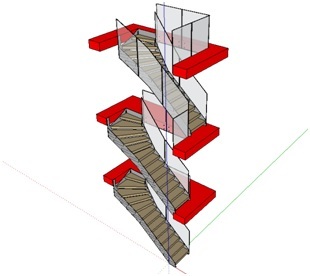 You will find us on stand D112, a new and upgraded size and location from our previous J116 stand.